Stinky wader funk got your blind smelling like the backside of a buffalo? Time to give them a little Revivex Odor Eliminator bath. To remove stubborn odors and bacteria from waders, fill a tub with warm water and add 1 ounce of Revivex Odor Eliminator. Dip waders to saturate all areas. 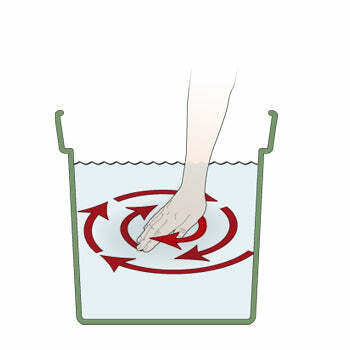 Remove from tub. Do NOT rinse. Do NOT apply heat. As the waders dry, Revivex Odor Eliminator does its work - consuming organic matter such as mold, mildew, algae and bacteria, leaving your waders odor-free. 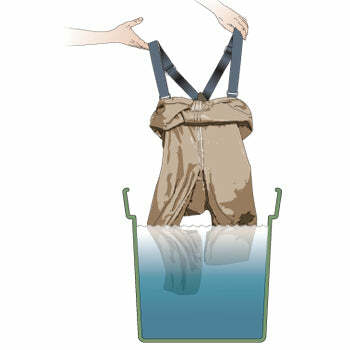 While you're at it be sure to check your waders for any holes and repair your waders with Aquaseal.